Asphalt overlays are often the best solution to your asphalt project. Asphalt that has signs of wear and minor cracking often has no need to base repair and can be efficiently resolved by an asphalt overlay. An overlay consists of first milling all curb lines, catch basins, and sidewalks and risers are placed on all manholes and over steel caps. 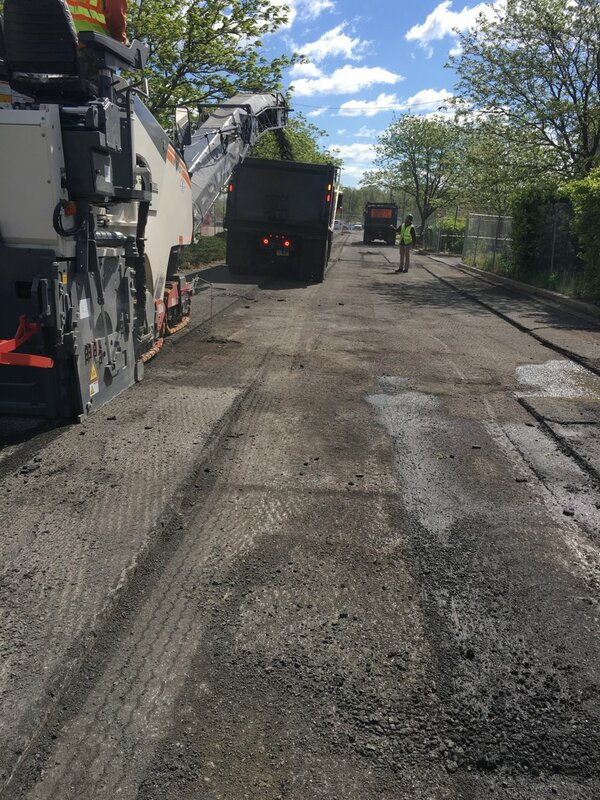 Our fleet of milling machines give us an advantage in accurately and efficiently repairing asphalt. This allows us to remove the existing surface anywhere from less than an inch to several feet. Milling a surface gives asphalt a better aggregate to adhere to with the application of tack coat and adds durability to the product. A solid foundation is the basis to which projects are built. When a parking lot is failing the problem may lie beneath the surface. DVP is experienced in dealing with subgrade issues and repairing these issues with base repair. Our qualified estimators will detect if & where base repair is needed and help design the best final product. We will often remove subgrade materials and install stone, and/or binder. With experience in design of storm water management, we can help draft an estimate that can solve your storm water concerns. We often deal with the installation of a variety of different catch basins, M-Tops, C-Tops, and other water retaining systems.